The armoured reconnaissance battalion (“Aufklarungs Abteilung“) of a late war panzer or panzergrenadier division was a well armed, dynamic force. Besides its core of dedicated recce vehicles it contained an aggressively-wielded force of infantry, and its own supporting pioneers, AT guns and infantry guns. 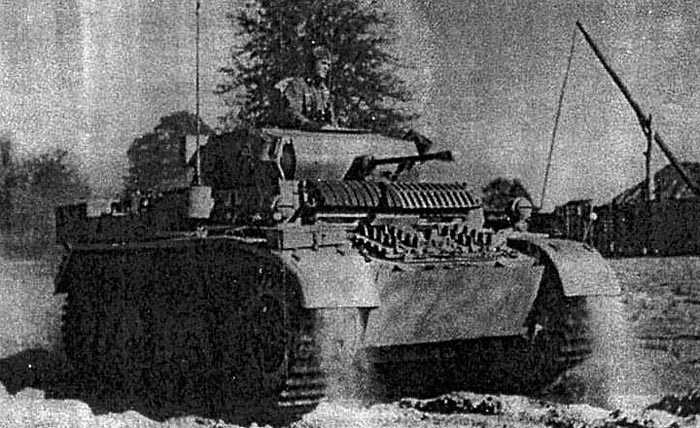 By the late war it had replaced most of the motorcycles and kubelwagens of the early war recce units with halftracks, and could operate over the same terrain as the tank formations it was scouting for. Because of their mobility and firepower the recce battalions often found themselves employed as a quick reaction force, counterattacking into enemy breakthroughs and generally doing a lot of the jobs heavier armoured units should have been doing. After September 1944 the platoon can include a 2-man panzerschreck team and would be rated +3 for regular and +9 for elite. Effectively this is the same organisation as the panzergrenadier list in the main rule book. Vehicle stats can be found on the Consolidated Arsenal. The list is nice, but I´ve got a doubt. The armoured reconaissance squad was 12 men strong. The 250 was integral to the squad (2 per squad). Two men manned the vehicle (driver and gunner). So how can these facts be brought into a list? AFAIK there was no assistant driver like you’d have in a 251. Each squad could provide ten men to fight on foot. The drivers would stay with the vehicles and if they weren’t required they would take them to the rear, camouflage them and provide security. yes, I messed the 250 with the 251!! Is there any reason why they lost “Aggresive” ? In my point of view and in tradition of Kurt Mayer Aufklarung Abteilungs was the most aggresive. With lost of Aggresive and Panzerschreck are they still only -1 against Elite PG? Also I am missing SdKfz 250/10 which were delivered to platoon leaders of 250/1. I am still missing 250/9 coaxial MG as it has same turret as 222. No, just an oversight. If you were playing them as elites you can take “aggressive” if you want, it doesn’t have a big effect on the game. As for vehicles, you should include anything that real life units had available. For the 250/10 you could just use the same stats for the 251/10. You’re right about the coax being missing on the 250/9, I’ve submitted that to be fixed. I’ve fixed the submits Andy. I’ve also added the other vehicles you still had in the unit arsenal at the bottom of the list. I’ve also added an entry for the 250/10. The number of Bikes w sidecar and any other vehicles required to lift this Platoon for a 1941 Barbarossa scenario? How big would this Platoon be when dismounted when you account for the Bike picquets etc.. Will they have 1 MG34 per section or more ? Going forward into 1942+ are these guys giving up their Bikes for the Sdkfz250s? Is it now becoming a fully Armoured organisation based on the known recce vehicles ? This list is just for Mar 1943 to the end of the war. Earlier bicycle, motorcycle and kubelwagen recce units would need their own list, with the relevant supports.